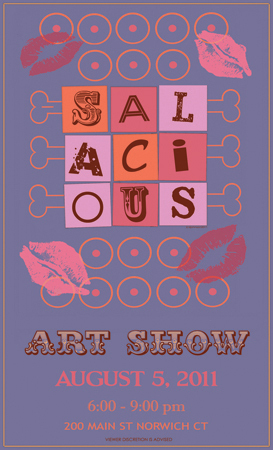 Poster design for the upcoming Salacious Art Show that will feature no judges, no jury, no fees, no censorship…. Awesome! I love the colours and the slyly subversive nature of it. Great fonts, too! Oooh, ta, CMK! The background is little softer than pictured here….